Bark Brown branches across a Azure sky make a pleasant repose for these often seen backyard bird friends. 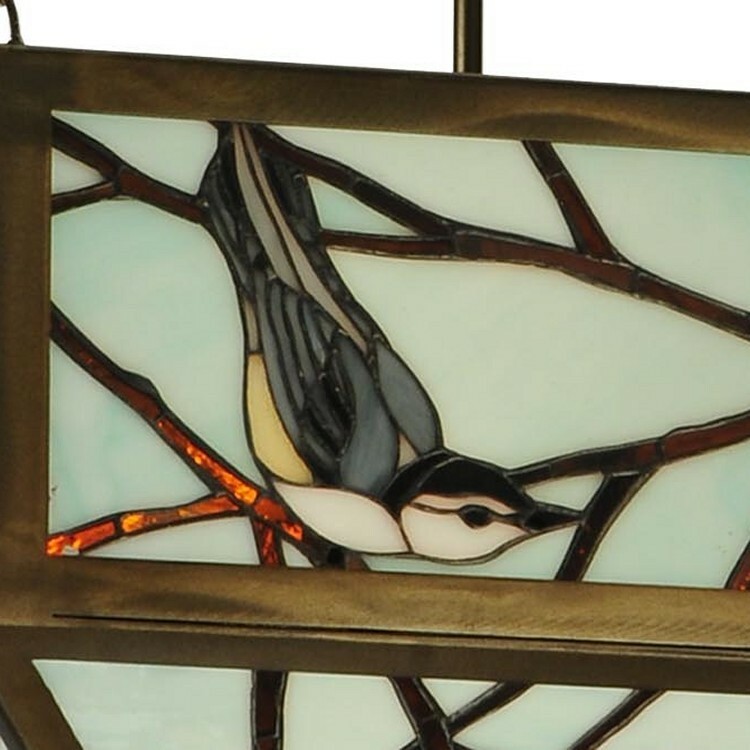 The handcrafted stained glass panels of this Backyard Friends Bird Chandelier are set in an Antique Copper finished frame. Made in the USA. Bark Brown branches across a Azure sky make a pleasant repose for these often seen backyard bird friends. 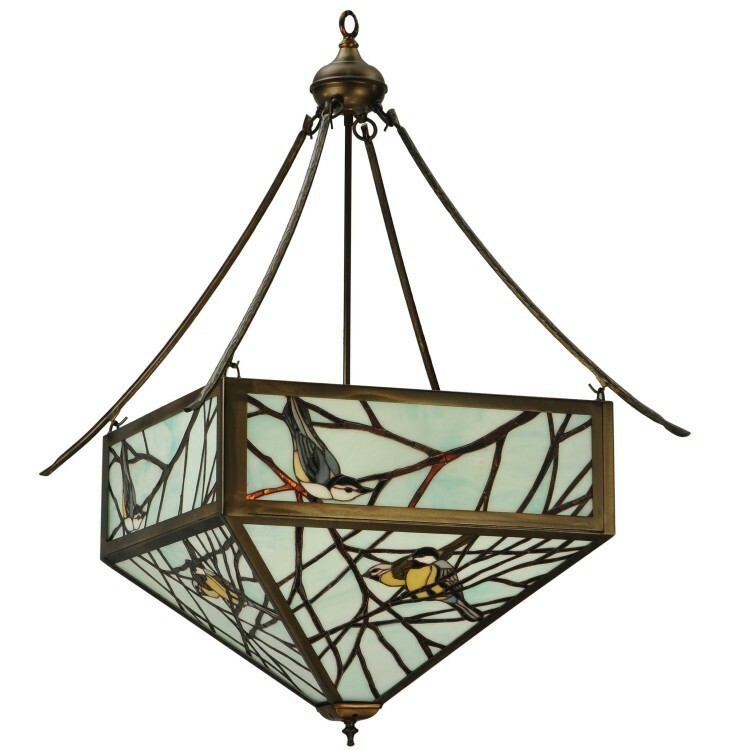 The handcrafted stained glass panels of this Backyard Friends Bird Chandelier are set in an Antique Copper finished frame.